The nature vs. nurture debate is concerned with the extent to which particular aspects of behavior are a product of either inherited (i.e., genetic) or acquired (i.e., learned) characteristics. Nature is what we think of as pre-wiring and is influenced by genetic inheritance and other biological factors. Nurture is generally taken as the influence of external factors after conception, e.g., the product of exposure, experience and learning on an individual. The nature-nurture debate is concerned with the relative contribution that both influences make to human culture. Cultural revival might be the only thing that stands between the conservation or destruction of the environment, the only way to perpetuate the knowledge and wisdom inherited from the past, necessary for the survival of future generations. A new attitude toward nature provides space for a new attitude toward culture and the role it plays in sustainable development: an attitude based on a new understanding – that self-identity, self-respect, morality and spirituality, all major contribtions of nurture, play a major role in the life of a community and its capacity to take steps that benefit it and ensure its survival. It is increasingly recognized that the promotion of sustainable futures requires fundamental reconsideration of current economic models and related consumption and production patterns. These have now breached key planetary boundaries, with disruption to Earth’s restorative systems and evident destruction of the common good. New efforts are needed urgently to identify a safe operating space for humanity. These efforts have to be mounted in the face of global environmental change, while giving due ethical concern to other life forms that share the planet with us. In particular new ethical systems have to be adopted that combine the legitimate development needs of the world’s poor while recognising the need for a new understanding of the limits to growth and sustainable prosperity. At its core, is the need to protect the common good, now and into the future. This requires protection of the global commons. One interpretation of the global commons refers to a series of legally defined common resource pools and common sinks connected to the functioning of healthy ecosystems. Another refers to commonly used resources for informal agriculture and fisheries based on patterns of customary use. A third applies to the life support functions of planet Earth, which are ubiquitous and manageable only by curbing the demands of people to satisfy their needs rather than their wants. The management and appropriate regulation of the commons are of vital importance for the survival of humanity as a whole, including the wellbeing of future generations and of other life forms. More informal and local management of common pool resources, involving community participation and diffuse and decentralized governance systems, is also increasingly recognized as beneficial. Natural resource management and the protection of the global call for policies that deliver on distributive and restorative social, economic and environmental justice. Such policies must ensure environmental protection and the maintenance and equitable access to ecosystem services. The latter are exemplified by fresh water, food and cultural and spiritual benefits, which we derive from nature. Indeed, the safeguarding of the global commons will attest to the humanness of our species that is the only life form in a position to nurture the planet for all life. How can humanity reconcile the needs of the poor while operating within safe, planetary limits? What trade-offs need to be made, by whom, and with what consequences, when judged in terms of social, economic and environmental justice? How can the global commons be effectively governed across spatial (from international to the local, community level) and temporal (across generations) scales to ensure sustainable futures? What is the moral framing for the collective life support of the planet and what science/governance devices are required to safeguard these functions into the future? As a species, we transcended our biological dependence on the environment long ago. The question of survival, therefore, has to admit culture in equal part with nature. It is significant that language of resource utilisation maintains “culture” as it’s root: agriculture, permaculture, aquaculture, etc. This language defines our deep interest in the environment. So sustainability must consider the preservation of a complex web of culture, which includes not only our perceptions of, and attitudes towards the way we use the natural environment, but also our relations to the societal environment. When we think of sustainability in these broad terms, we have to start wondering exactly what it is that we are seeking to sustain. What are we really trying to preserve in a world where the growth rates of poverty, crime, unemployment, drug abuse, homelessness, racial conflict and just about every other indicator of societal breakdown are rising geometrically. In the United States alone, functional illiteracy stands at twenty five percent. Terrorism has become a universal form of political protest. All these horrifying statistics, however, have one thing in common: we tolerate them by choice. With an appropriate political shift and realignment of resources, unlikely, but nonetheless possible, we could choose to be different. Indeed, it is our ability to make choices, or at least the availability of choices to make, that is worth promoting. In this context, Ruth Durack defines sustainability as development that satisfies the choices of the present, without compromising the ability of future generations to make choices of their own regarding their relationship of culture to environment. Culture and environment are inseparable because what makes any human society is its culture; a Latin word which was derived from “colore” meaning to cherish. For a society to be societal it must be cultural; therefore, society and culture are also intertwined. In the same vein, the culture of any society is largely dictated by its geography. Put another way, there is conspicuous sociological interplay among the concepts of culture, nurture, and nature. These are the three pillars of cultural ecology. The conversion of Earth’s land surface to urban uses is one of the most irreversible human impacts on the global commons. It hastens the loss of highly productive farmland, affects energy demand, alters the climate, modifies hydrological and biogeochemical cycles, fragments habitats and reduces biodiversity. We see these effects on multiple levels. Future urbanization will, for example, pose direct threats to high-value ecosystems. The highest rates of land conversion over the next few decades will likely take place in biodiversity hotspots that were relatively undisturbed by urban development in the last century. Within cities, the nature of urban growth is also an important determinant of urban dwellers’ vulnerability to environmental stress. The environmental impacts of urban expansion reach far beyond urban areas themselves. In rapidly urbanizing areas, agriculture intensifies on remaining undeveloped land and is likely to expand to new areas, putting pressure on land resources. Furthermore, urban areas change precipitation patterns on scales of hundreds of square kilometres. Direct loss in vegetation biomass from areas with high probability of urban expansion is predicted to contribute about 5% of total climate change emissions from tropical deforestation and land-use change.. The scope and scale of these impacts is yet to be fully researched. Although many studies have described how urbanization affects CO2 emissions and heat budgets, effects on the circulation of water, aerosols, and nitrogen in the climate system are only beginning to be understood. Zetter and Watson note in the introduction to ‘Designing Sustainable Cities in the Developing World’ that urban globalisation has had two particular negative outcomes. It has eroded with culturally-rooted built environments and accelerated the destruction of the patrimony of indigenously designed and developed places and spaces, characteristic of the village. At the same time it has increased pressures to commodify the place-identity of historic urban spaces and places. They are becoming detached from their local, spatial, and temporal continuity, whilst still being represented as preserved authentic artefacts for global cultural consumption. Loss of patrimony begins with the depopulation of rural communities. As a current case history, China’s rapid urbanisation has generally meant the destruction of traditional neighbourhoods that are replaced with modern buildings and community spaces that are usually architecturally dull and unpleasant to inhabit. This problem is global. The central factor driving urbanisation with its unsustainable lifestyles is job creation to support mass production in factories and large-scale service enterprises situated far from home. The industrial revolution has led people to “shop” for the needs they have. This modern life model of the daily commute is based on urban economics of self interested rational consumers tinged with “romantic individualism”. According to the romantic view of individualism, people expect freedom and to break free from chains. But urbanisation is associated with infinite desires which are never fully satisfied and a huge contrast has built up between individualism and life as a collective mass. It’s so contradictory that all people expect freedom from village life but they end up in excessive work and stress. Humanity is in desperate need for a paradigm shift to live within a bounded, finite planet and take the necessary conditions not as constraints. A new ecological economics is required that centres on development without growth of human demands on Earth’s non-renewable resources. In 2011, R. Bailey in the Oxfam report, ‘Growing a Better Future’, defined the new model of prosperity as one”which delivers economic development, respects planetary boundaries and has equity at heart”. Unfortunately, the concept of sustainability is routinely reduced to a question of physical survival in an environment of continuing degradation and depletion. Resilience comes from physical and social design that conspire to preserve the status quo. This is precisely the point at which the ideas of sustainability and of the village diverge. A village, by its nature, is a stable, self-perpetuating, self-sustaining entity. It has boundaries and a limited size, an internal organization that resists revision, a coherent scale and building character that is embeded in history, and a fragile landscape that is vulnerable to economic growth. It builds and sustains a social network that relies on interwoven destinies, censuring the separatist, the non-participant and the transient. It is, by necessity, a fixed, complete and finished entity, whose greatest enemy is the future. Its very survival requires resistance to change. The 21st century poses a challenge regarding disparities in access, allocation and disposal of carbon. Traditionally, inequalities have been defined from an economic or ‘state of development’ perspective. This perspective is particularly relevant to the developing world, that faces the double challenge of rapid urbanization and environmental sustainability. Also, there are ethical, and empirical gaps in climate governance related to urban–rural carbon dynamics. Analyzing data from more than 200 countries over five decades shows that although carbon emissions are heavily correlated to its wealth (in terms of gross domestic product per capita), the data suggest that a country’s level of urbanization correlates more with carbon emissions than its wealth. That is to say, as countries urbanize, their cities’ contributions of carbon emissions and other greenhouse gases start to become disproportionately high in comparison to their population and wealth. India is a good example. Household income in India has increased considerably in line with economic growth over the last decades. The Ministry of Statistics and Programme Implementation (MOSPI) reports that urban wages rose by 17.38 % between 2000 and 2005. Household expenditure has been rising in line with wages, especially in the urban areas where richer households are located. It is expected that a large proportion of households to pass the critical income level of 2 dollars per day and carbon emissions from Indian households will account for a significant share of global greenhouse gas emissions in the future. This rise in carbon emissions will be correlated with increasing direct and indirect energy requirements of households. However, energy consumption and carbon footprints vary with what and how households consume. Income is the major driver of household emissions but fuel types, which are used for cooking, have an impact on carbon footprints as well as age, gender, employment. In this context, female-headed Hindu households emit on average slightly less than their counterparts. Those categories classified as luxury goods such, as transport, medical goods, entertainment or services do not exhibit the highest carbon emissions. It is clear that equal access to resources forms the bedrock of sustainable human settlements and future urbanization. However, this translates into immense barriers to changing national urbanization pathways, particularly for developing countries, which seem to be following the unsustainable examples of urbanization in rich countries. Cities in urbanized middle-income countries emit comparable levels of carbon dioxide per capita to those in richer countries. For example, some cities in China now emit more carbon dioxide per capita than many cities in developed countries while some rural areas in low and middle-income countries have low or even negative carbon emissions per capita. Promoting cities solely as engines of economic growth creates stiffer competition among cities, which leads to more consumption, higher concentration of wealth and carbon emissions in urban areas. In turn, these dynamics increase inequities, particularly affecting the poorest and weakest in rural areas—those who have little voice and suffer from having fewer resources and opportunities. In order to reduce emissions and urban-rural inequalities there is an urgent need to catalyze and scale up innovations that provide adequate housing, energy access, transportation and economic opportunities for the rural population in a sustainable manner. In the United Kingdom, rural areas host around half a million businesses; over 25% of all registered businesses in England. Rural areas in England are home to 17.6% of England’s total population and 15% of jobs. Many of the businesses operating in rural areas are small or medium sized enterprises and are evidence of a new ruralism where industrialism is serviced from within an agrarian economic zone. Economic activity in rural areas is increasingly diverse, with significant manufacturing and services sectors, alongside more traditional farming. Knowledge-based and creative industries are also growing rapidly. A Call for Evidence has been published jointly by the UK’s Department for Communities and Local Government and the Department for Environment, Food and Rural Affairs. It seeks evidence on how planning and governance can better support rural life and invites ideas about how the planning system could further support sustainable rural life and businesses. Contributions are invited from all interested parties. The evidence provided will inform further thinking on delivering the commitment to support rural productivity. The same questions are relevant for the developing world facing large scale urbanisation. How can working from a rural home produce goods and services to satisfy a global market? This question is relevant to India, for example, where it is estimated that 40% of the population will be urbanised by 2030. Although this perspective is not usually framed in the context of curbing climate change the impact of the new rurality on global commons is of significance in the context of its lower contribution to the global carbon footprint. A concept map based on this proposition has been constructed, exemplified by a model of the empowerment of marginalised women. It sets out a process of change which requires a theory of change to turn it into an operational programme. 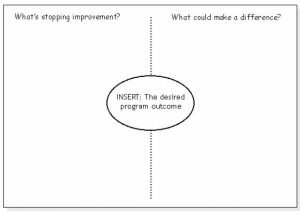 The Outcomes Framework then provides the basis for identifying what type of intervention should be adopted to lead to the preconditions for achieving the programme outcome. This leads to better planning, in that activities are linked to a detailed understanding of how change will actually happen. It also leads to better evaluation, as it is possible to use performance indicators that go beyond the identification of programme outputs to measure progress towards the achievement of outcome. 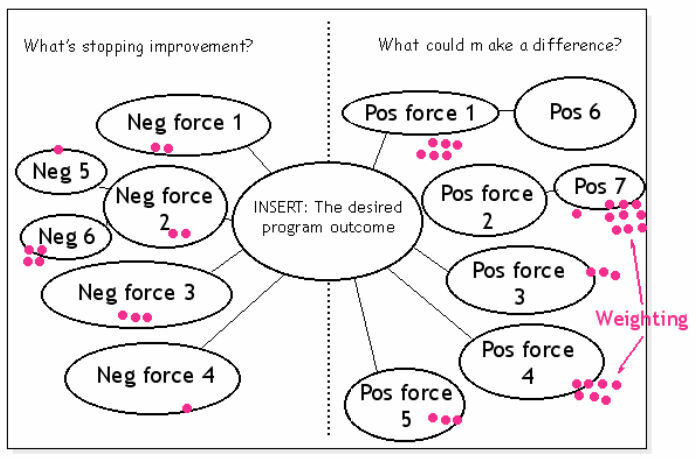 What could make a positive difference (positive forces)? 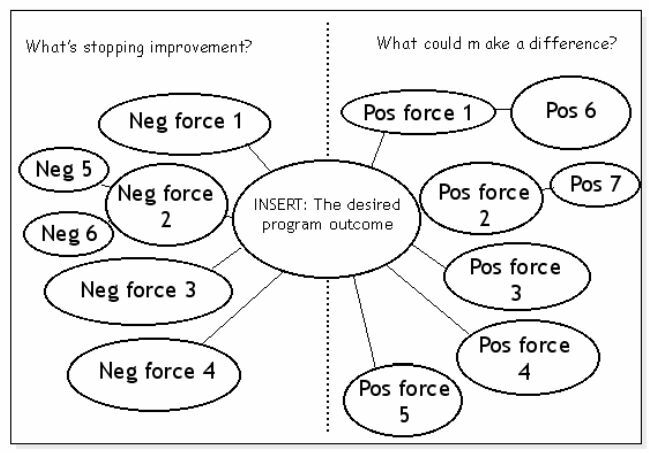 What’s stopping improvement (negative forces)? From the weighted forces (*****) the TOC is based on the intervention of regular mowing and the banning of fertilizers and weed killers. The TOC is an exercise in system thinking and it can applied to systems of varying complexity, both social and biological. For example, there is an urgent need to monitor the wildlife value of grasslands and assess how they can be managed effectively. Grasslands are a priority habitat due to their fragility within a process of succession to woodland. If left unmanaged they will quickly disappear. If they are not managed properly they will change their characteristics and biodiversity. will decline very quickly. A table of weighted forces for a theory of ecological change can be made (Table 1) based on seven forces of which three may be selected because they have the biggest effect on biodiversity. It has been recognised that certain species indicate high floristic diversity of grassland. Others indicate a positive or negative effect of management. These key species are performance indicators and could be used to monitor the outcome. In 2016 the Overseas Development Institute (ODI) released a report detailing ten factors that can either enable or constrain women’s economic empowerment. Drawing on data from the Gallup World Poll—which covers 99 percent of the world’s population age fifteen years or older—the report analyzes how these complex and interacting factors can inform policy solutions to advance women’s economic empowerment. The report signals an important transition from previous studies on women’s economic empowerment— navigating from the question of why policy should support women’s economic empowerment to how it can do so. In defining women’s economic empowerment, ODI notes that it is “concerned not just with increases in women’s access to income and assets, but also with control over them and how they use that control in other aspects of life.” In other words, how does economic participation change their lives? To answer this question, the ODI breaks its ten factors into two categories: direct and underlying factors. Gender norms and discriminatory social norms. Policy should focus on keeping girls in school by providing measures for safe transportation to school and increasing recruitment of female teachers. Likewise, initiatives can be developed for older women that combine vocational training and life skills such as the ability to manage challenges and advocate for their rights. While many countries have neared parity at the primary level, significant gaps in secondary schooling remain, despite evidence that an additional year of secondary school later raises girls’ wages by 15 to 25 percent. Legal restrictions to women’s formal employment should be removed; informal workers should be legally recognized and protected; and female entrepreneurs should have increased access to financial services that often remain out of reach. While these measures could help all workers, they are particularly important for women who are overrepresented in the informal economy. Employers and governments should strive for the “recognition, reduction, and redistribution” of care work, instituting better parental leave and breastfeeding policies, as well as affordable childcare options. Importantly, these benefits should extend to informal workers as well. Such policies could help transform ingrained cultural attitudes about a woman’s ability to work and raise her family simultaneously. Legislation should affirm equal property and asset ownership rights for men and women. As noted in the report, only 15 percent of agricultural landholders in Sub-Saharan Africa are women—and land held by women is often smaller than that held by men. Likewise, measures should be taken to ensure women’s financial inclusion by increasing economic services and training. Initiatives should support women’s collective action and leadership, enabling women to challenge current power structures. In lending such support, government programmes should be implemented through a gender-sensitive lens. Donors and other partners can ally themselves with women’s groups to grow their legitimacy. As women are overrepresented in the least profitable occupations in 142 countries, labor and economic policies should prohibit workplace discrimination and support women in decent work. Encourage ratification of ILO Convention 189 to ensure protections related to pay, hours, health, and insurance for domestic workers. To date, only twenty-two countries have ratified the Convention. Likewise, broader legal reforms should be implemented including revision of family codes to permit women to work outside the home, and laws protecting migrants from exploitation and abuse. Efforts should be undertaken to reform discriminatory gender norms. ODI suggests involving formal institutions, such as religious organizations.and garnering the support of men to change prevailing attitudes toward women and girls. The comprehensive policy recommendations stemming from ODI’s ten factors have the potential to transform women’s role in the economy and in society more broadly. As the ODI report concludes, “Achieving women’s economic empowerment involves more than isolated technical interventions; it is an inherently political process requiring challenges to established norms, structures, and sites of power.” In this connection, starting from the ODI’s report it is possible to create a TOC for the empowerment of rural women and girls (Table 2), where empowerment is integral with economic improvement of home and village. It is a table of objectives that turn policies into an outcomes framework for operational plans. 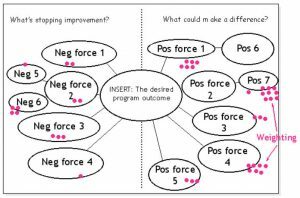 What could make positive difference (positive forces)? 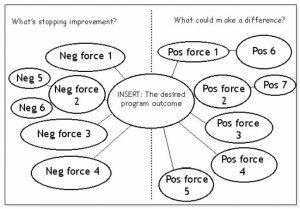 What’s stopping improvement (negative forces)? Increase women’s rights to land. Inform and educate women and girls about their rights. Create business opportunities for home working entrepreneurial artisans. Build political will and legal/institutional capacity to prevent discrimination. Build capacity of media to deal with gender issues. Work with men and boys. Encourage politicians to speak out. Legal system including customary and religious laws prevents, recognises and adequately responds to violence against women. Social media Lack of political will at all levels of government. Antaganistic dominant social norms; values, beliefs etc. Inadequate services to promote and protect women’s rights. Lack of social, legal and economic autonomy for women and girls. Over-burdened and under-resourced civil society. For these more complex sociocultural systems a TOC is normally shown as a flow chart or diagram with accompanying text. The Theory of Change Online (TOCO) software was created as an accessible, easy-to-use learning tool for creating and implementing a Theory of Change. TOCO is an online application that allows you to create a TOC diagram. The software is free and accessed directly through the website, so you don’t need to download and install it. Once in the application, you can create boxes that represent the elements of your theory (e.g. outcomes, outputs, prerequisites, etc.) and place them on the page. Each box has associated indicators and the boxes can be linked with arrows. For each arrow you can specify a rationale (why does this box lead to that box?) 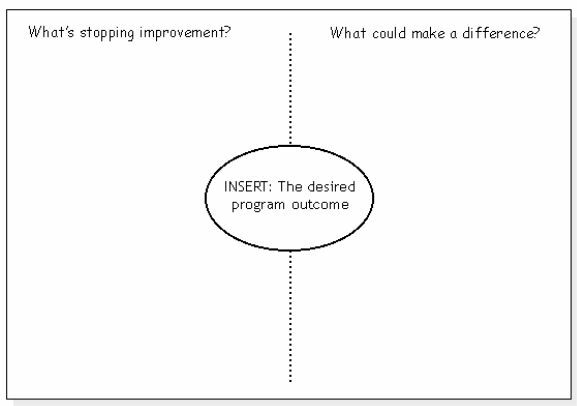 and interventions (what will you do to make this box lead to that box?). You can also group boxes together under headings, add comments, text, and assumptions. ‘Purchase with Purpose’ is a concept model of Indian rural entrepreneurship and social development conceived by N.K.Chaudhary, founder of The Jaipor Rug Company to revive and sustain India’s rich heritage of domestic hand weaving, producing hand knotted rugs for international markets. The purpose is to generate a financial cash flow from rich to poor to promote economic independence and creativity of village artisan weavers. N.K.Chaudhary also created The Jaipur Rug Foundation (JRF) to empower marginalised villagers (mainly women) and support economic independence of creative village artisans who would otherwise migrate to towns and cities for jobs in mechanised mass production, losing their ancestral cultural patrimony and adding to urban carbon footprints on the global commons. In this respect, the company and its charitable arm are parts of a novel cultural system that empowers women and stabilises their communities. The above description is available as a concept map which highlights actions on some of the positive forces listed in the outcomes framework of the theory of change (Table 2). The culture of a society is the way of life of its members; the collection of ideas and habits which they learn share and transmit from generation to generation. Indeed culture is a design for living held by; members of a particular society. The culture of a people is their identity as it affords them due recognition. It is their underlying distinguishing factor from other peoples and cultures. In fact, all societies across the globe have various and divergent cultures which they cherish and practice. Nevertheless, no two cultures, when juxtaposed, are absolutely identical. In order for a society to operate functionally and effectively, people must ensure strict and constant adherence to the various components of their culture. Culture is that complex whole which includes knowledge, belief, arts, morals, customs, laws and other capabilities which are learned, shared by individuals as members of society, and transmitted from one generation to another. Sociologically, many activities of members of any society such as eating, music, dancing, occupation, education (formal, informal, and nonformal), visiting friends, courtship, marriage (its forms and types), beliefs (festivals and liturgies), naming and burial ceremonies, entertaining friends and guests, greetings, and system of government, are all found within the confine of nonmaterial culture which is the exclusive preserve and concern of this study. Material aspect of culture which comprises the physical and touchable implements or objects such as wears, computer, spoon, pot, cup, cutlass, building, phone, and sandal, is also invaluable and complementary. Murdock, an anthropologist, has produced an itemized list of cultural traits that he claims has universal application. Included among the eighty-eight general categories of behaviour are such practices as patterns of cleanliness training, food taboos, and funeral rites; such principles of social organization as property rights, religious practices, and kinship arrangements, such practical knowledge as fire making, the use of tools and names for different plants. It is important to keep in mind that at no point do cultural universals carry down to the actual details of what people say and do. It is the forms—the broad types of “behavior”—and not the specific contents of behaviour that are found in all cultures. Culture is essential to our humanness. It contains a set of readymade definitions each of us reshapes very little in dealing with social situations. In other words, culture provides a kind of blueprint or map for relating with others. Consider how you find your way in social life. How do you know how to act in a gathering, with a stranger, in a funeral, naming ceremony, toward a person who smiles, leers or swears at you? Your culture supplies you with broad, standardized, prefabricated answers, and formulas or recipes for dealing with each of these situations. Not surprisingly, if we know a person’s culture, we can understand and even predict a good deal of his or her behaviour. The need for this research arose due to the unbridled increase in disappearance of cultural values among the Aworis in Ado-Odo/Ota Local Government Area (LGA) Ogun State. Thus, to unravel the causes and consequences of the eroding significant cultural values among the Aworis in Ado-Odo/Ota LGA, Ogun State, certain clear-cut questions have to be provided answers to. For instance, what language do you understand or speak best? How many languages do you speak or understand? How many native attires do you have compared with the English wears? This entry was posted on Wednesday, July 18th, 2018 at 11:45 am and is filed under Uncategorised. You can follow any responses to this entry through the RSS 2.0 feed. Both comments and pings are currently closed.